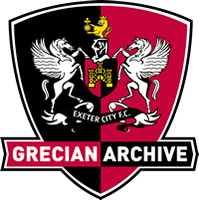 With Exeter City struggling to score goals and to avoid relegation from League One, they signed Dalla Valle on loan from Fulham in March 2012. 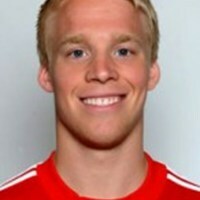 He has won international honours for Finland at Under 16, 17, 19 and 21 levels. 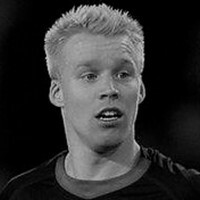 He began his career with Finnish club, JIPPO, although he was then snapped up by Inter Milan in 2005 to play for their youth side. Homesick, he returned to rejoin JIPPO where he made 8 league appearances. Dalla Valle signed a three-and-half year deal with Liverpool in November 2007 and was a member of the FA Youth Cup winning team in 2009. He made his only comeptitive first team outing for Liverpool in July 2010 introduced as a substitute in the Europa League thrid qualifying round tie against FK Rabotnicki. 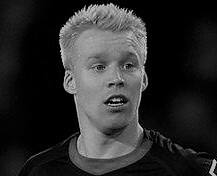 Joined AFC Bournemouth on loan in March 2011 and score don his debut against Oldham Athletic, going on to net once more in his eight league outings. Dalla Valle made his Fulham debut as a substitute for the Europa League match against NSI Runavik in June 2011, before linking up with Dundee United on loan in November 2011, where he scored three goals in eleven matches. He made his debut for the Grecians in a 3-1 home defeat against Wycombe Wanderers in March 2012, returning to Fulham at the conclusion of his loan spell. In November 2012, Dalla Valle joined Crewe Alexandra on a month’s loan. Returning to Fulham, he was released in February 2013 to join Norwegian side Molde. In July 2013 Dalla Valle joined Belgian second division side Sint-Truiden on a three year contract. Released after only one season, Dalla Valle had a successful trial with Vicenza, but re-joined Crewe Alexandra in December 2014, signing a contract until June 2016. Dalle Valle was released by Crewe at the end of the 2015–16 season. In August 2017 he joined newly promoted Serbian SuperLiga side FK Zemun. He was released in November 2017.